SOOH Media is the Social Out of Home (SOOH) Media company. Be Social. Out of Home. 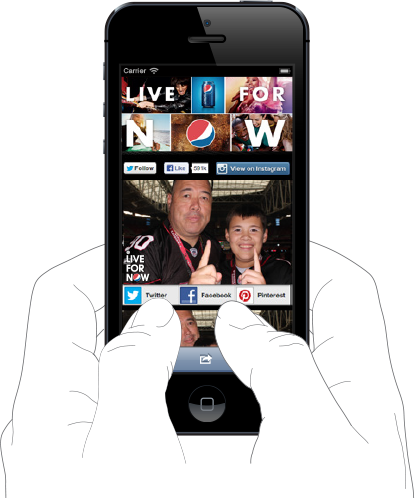 View photos from your phone! Branded mobile pages and social buttons make sharing your experience easy with built in hashtags.